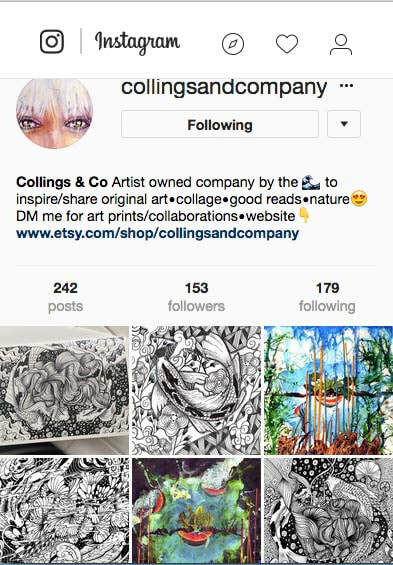 Unique handmade inspirations from Mother Nature! 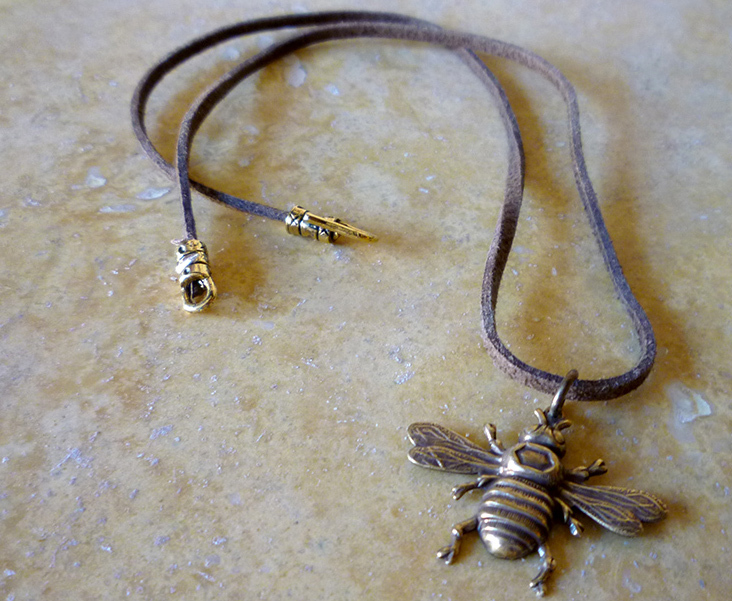 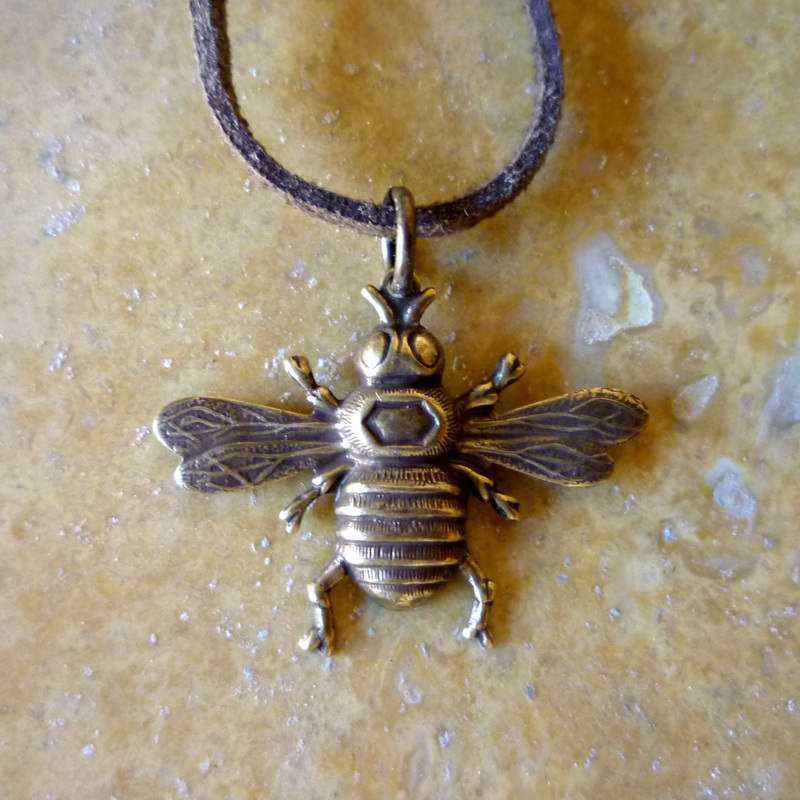 Princess Bee Leather Necklace - Brass Bee on 18" brown leather with gold crimp closure. 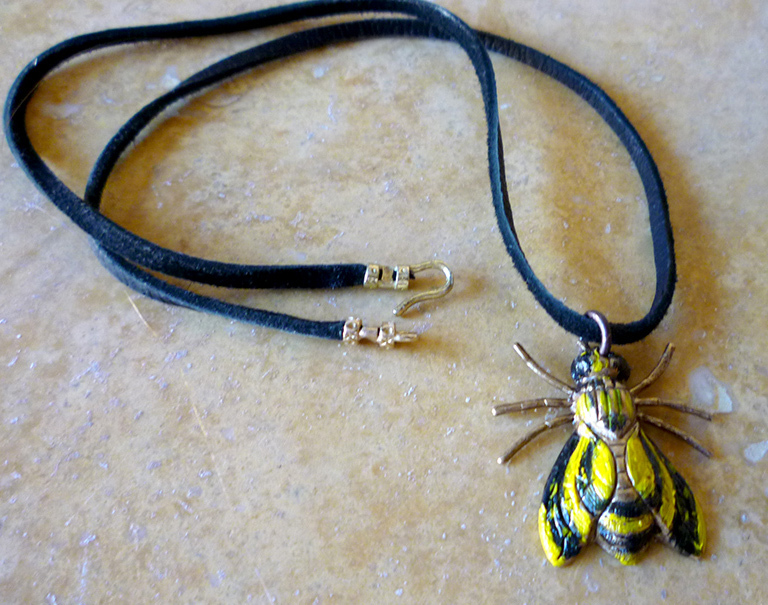 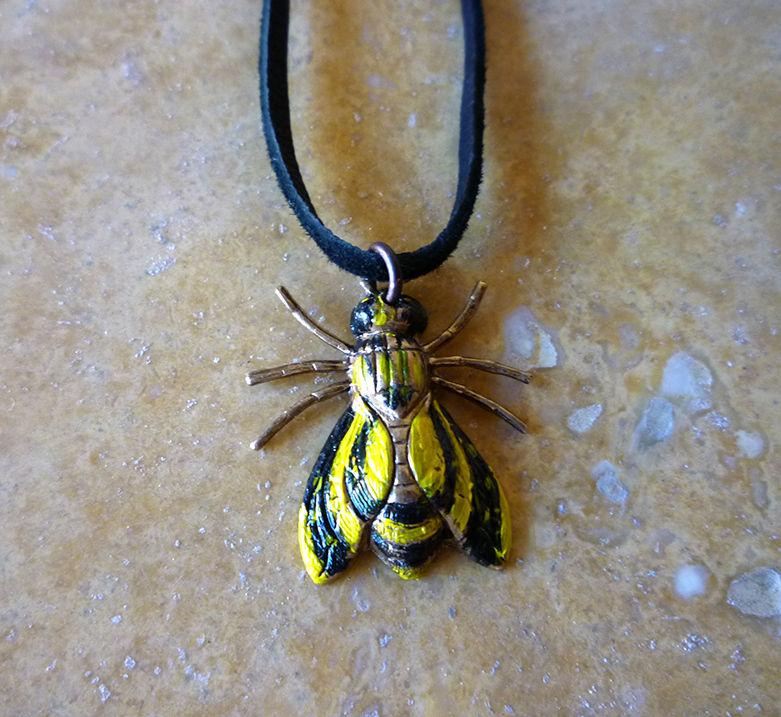 Queen Bee Leather Necklace - Handpainted Bee on 18" black leather with gold crimp closure. 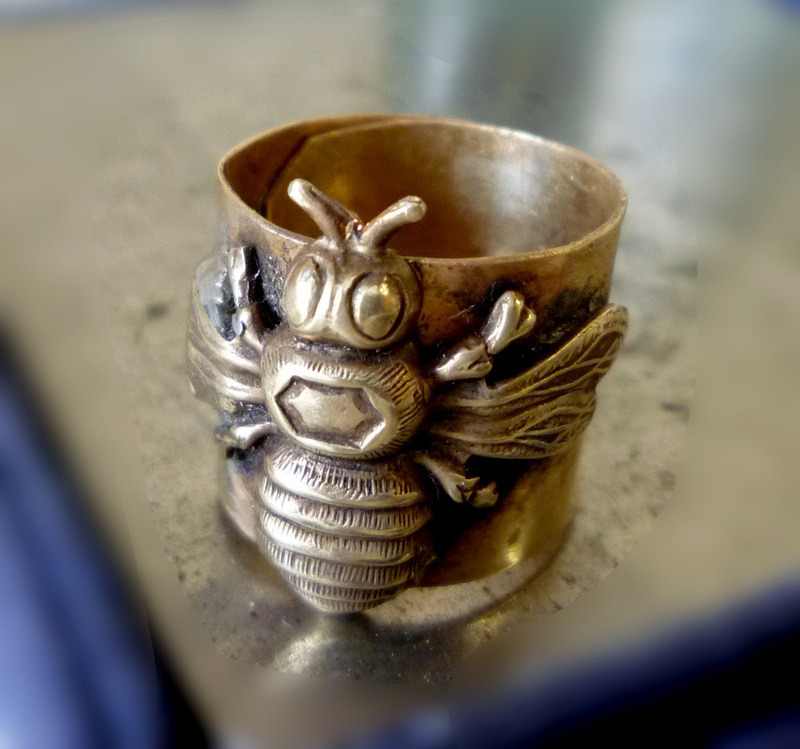 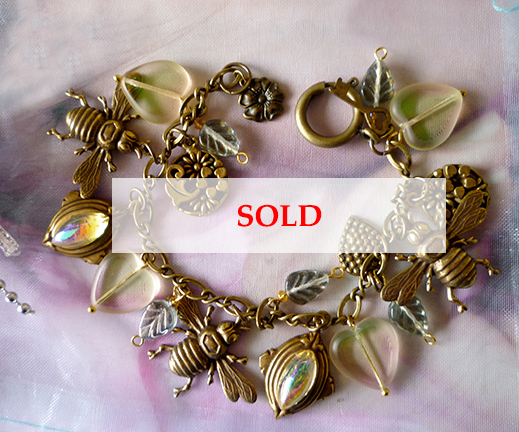 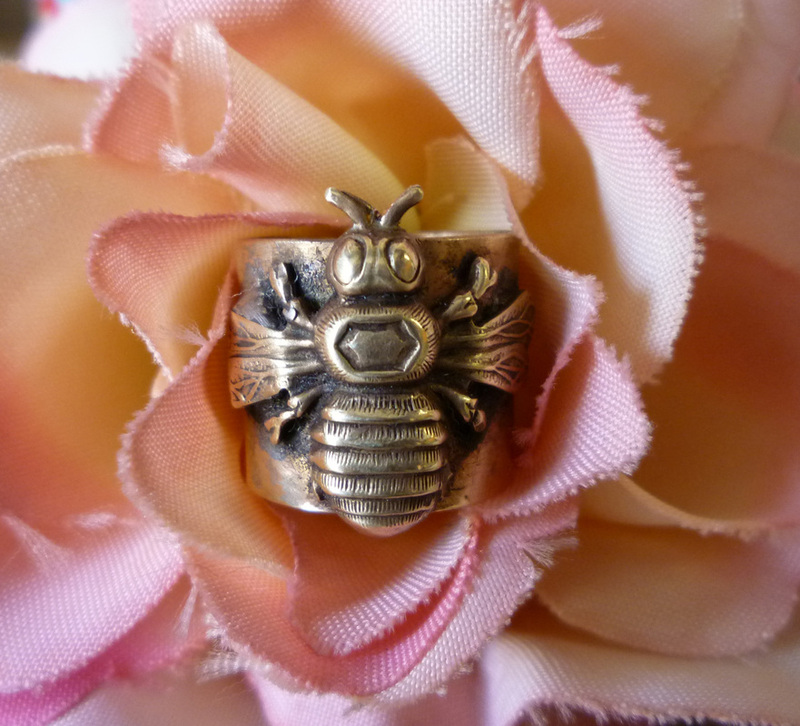 Bumble Bee Ring - Bee Charm on Bronze metal, hand cut and antiqued, adjustable fits all sizes.